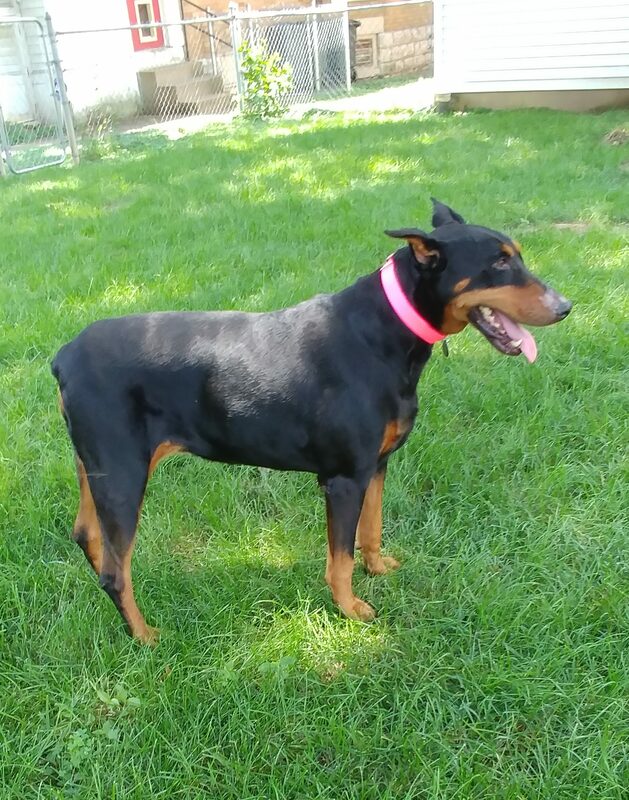 This adorable and easy black dobie girl is Daisy with beautiful cropped ears that are very expressive. She joined our rescue because her primary caretaker died the family was having to move due to some health issues and no longer able to care for her. 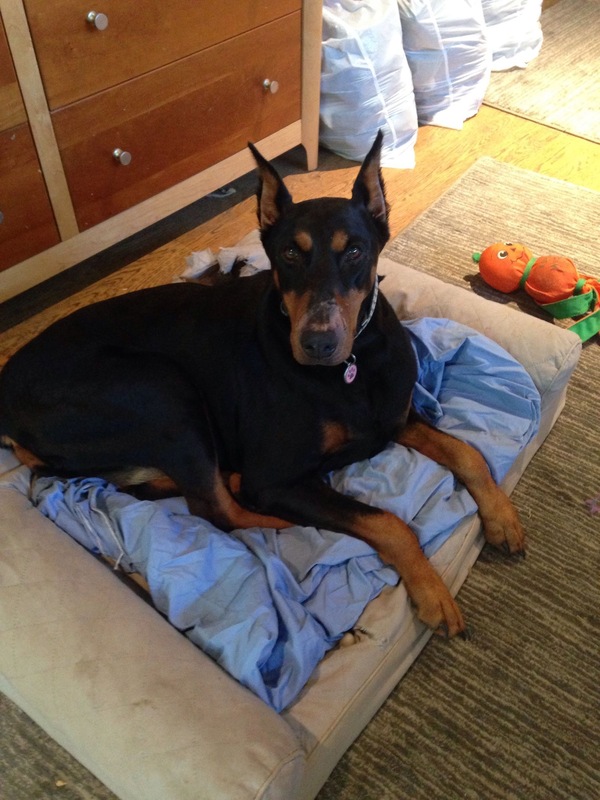 Daisy is 7.5 years old and a super sweet lovable girl. 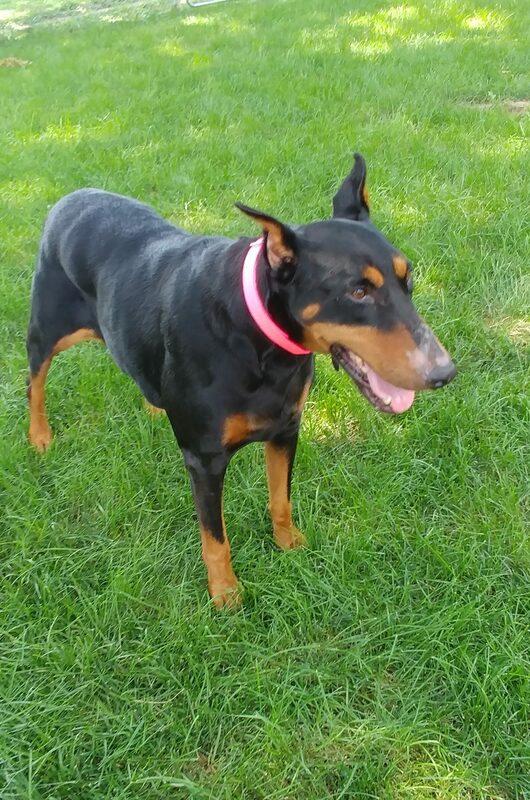 She has lived with other dogs and may be ok with some dog savvy cats. Daisy can be a little shy at first but does warm up quickly, especially if you are sitting. She will not hesitate to insist that you pet her. If you walk towards her, she may walk away but we are working on building her confidence. Daisy does not need a crate and it is recommended that you not use one as she has a little anxiety when confined and may injure herself trying to get out. At this time, she is house trained, does not counter surf, chew, or get on furniture. Leaving her in your house alone is ok. So far, she has not found any toys that she likes. Due to her slight shyness and separation anxiety, she is best suited to a home with another dog and no small children. Unfortunately, Daisy has spent a considerable amount of time on her own in the past couple years, primarily outside without heartworm prevention and has tested positive. She has started her pre-treatment as well as a diet. Being a bit overweight is taxing on her hips and she has a little difficulty sitting and getting up. She does get out there and run and play with her foster sister and is ok on stairs. 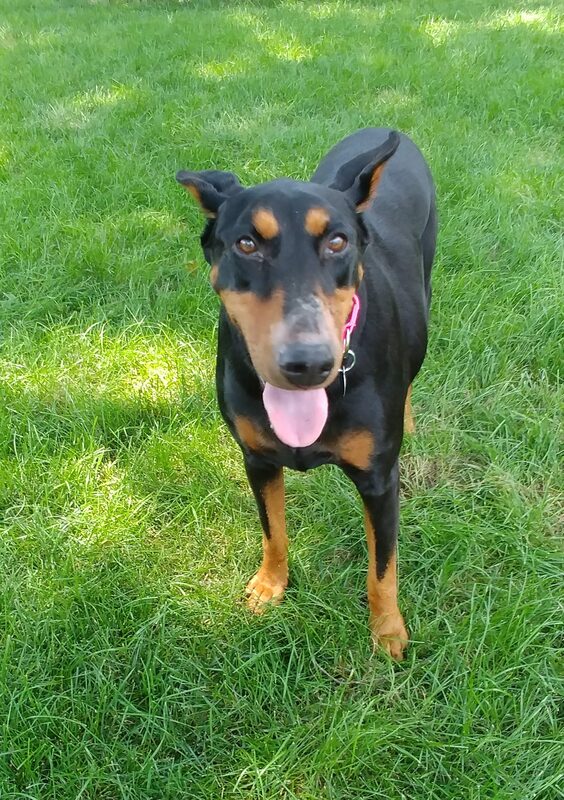 In typical dobie fashion Daisy wants to be with her people no matter where they go in the house, so you may hear a slight whine if she can't find you. She does great in the car and on leash so you can take her along with you too. 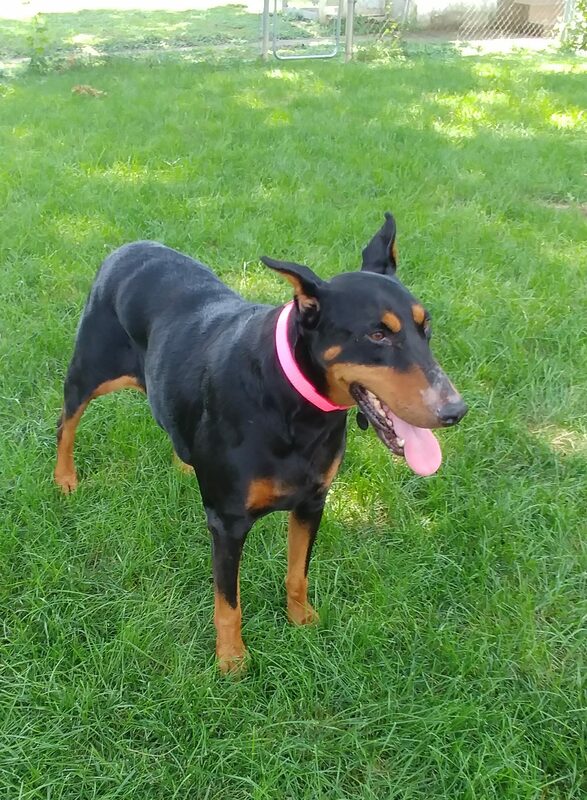 Daisy is such a great dog for anyone that wants a low key dobie to hang out and share their life with her.